Meredith Shaw co-founded All That Dance Studio in 2001 and is the studio's artistic director and teacher. She is certified to teach dance through the Dance Masters' Teachers Training Program and is a skilled professional dance teacher. She began dancing at the age of four and she has an extensive dance background in jazz, tap, ballet, contemporary, hip hop, Celtic, modern, and ballroom. Meredith participated in the Jazz Dance World Congress. and she studied in the Bolshoi Summer Dance Program, Allegheny Ballet's Summer Program, and at the Burklyn Ballet Theatre. She also studied dance at the University of Wisconsin, the Koresh School of Dance in Philadelphia, and ballroom dancing at Dance Vision's Professional Teachers Ballroom Classes. She has studied with many world-renowned dance professionals: Anthony Locascio (Tap Dogs), Gregg Russell, Mia Michaels, Bob Rizzo, Jeffrey Gribler, the late David Holliday, Cherie Noble, Frances Patrelle (Dances Patrelle), Gennadi Vostrikov (Virginia Youth Ballet), the late Richard Cook (Conservatory of Dance, Suny Purchase), Paula Abdul, Patsy Swayze, Joe Lanteri, Joe Tremaine, and many others. Meredith continues to attend many other dance workshops, conferences, and conventions throughout the United States. Professionally, she continues to dance with the Omni Contemporary Dance Company; for the show, Boogie Nights at the Tropicana Casino and Resorts; and in the touring show, Simply the Best-Forever Tina. She has performed for the 76ers halftime show, in The Hypersonics Show, and in the Miss America Parade, and she was a soloist in the The Nutcracker Ballet. Meredith is very involved in her community and has choreographed for local community theatres, pageants, and area schools' theatrical productions and charity events. She has choreographed ballroom dances for the Dancing with the Cumberland County Stars, which raised thousands of dollars for the Cumberland County Technical School's scholarship program and for Bridgeton's Dance Off. Proceeds from this fundraising event benefited several non-profits in the Greater Bridgeton area. Meredith is a licensed Zumba instructor (Zumba Gold, Zumba Basics,and Zumba Kids) and she teaches several of these classes each week. She received the Governor's Award for Dance and a grant from Salem County Cultural and Heritage Commission and the New Jersey Council on the Arts to present a two week summer dance program, Experience Dance! for underserved children, ages 5-8. As director of the studio, Meredith accepted citations from the Honorable Frank A. LoBiondo, US Congress; the State of New Jersey Joint Legislature; Cumberland County Freeholders; the Township Committee of Hopewell Township; and the Bridgeton Area Chamber of Commerce for the past five years. Meredith is thoroughly passionate about her work and enjoys having the opportunity to share her love of dance with her students and with others. ​Ms. Jen Shaw is an accomplished dance educator, choreographer, and performer. She earned a BFA in Dance from Rutgers University-Mason Gross School of the Arts and she has an extensive dance background in ballet, pointe, tap, jazz, modern, contemporary, ballroom and cultural dance genres. She began dancing at age 4 and has performed professionally with Dance Works, the Omni Contemporary Dance Company, and with the Vineland Regional Dance Company. Ms. Shaw has performed repertory by Sherry Alban, Mark Haim, Umoja Dance, Ben Munisteri, Randy James, and Heidi Lasky, and others. As a N.J. Highly Qualified Dance Educator, Ms. Shaw has taught dance in the public high school setting for the past 15 years. Currently, she is employed by the Bridgeton Board of Education as a dance teacher. In addition, Ms. Shaw volunteers and teaches dance to children, ages three to adult at All That Dance Studio. Ms. Shaw holds certifications and experience in teaching Yoga and Pilates (Mat, Ball, and Reformer), Reiki, and Aerial. In 2015, she earned her MA in Human Services Counseling with a Concentration in Family, Marriage, and Wellness Coaching from Liberty University. She studied dance at Allegheny Ballet, Burklyn Ballet Theater, ATI Dance Teacher Workshop, Jazz World Dance Conference in Buffalo, at the University of Wisconsin in Madison, and at The Koresh School in Philadelphia. Ms. Shaw has been the recipient of many prestigious scholarships, awards, and honors for her dancing and choreography. She received a full dance scholarship to attend the N.J. Governor’s School of the Arts and a scholarship to The American Dance Festival at Duke University. She was awarded the Outstanding Talent & Dedication Award while at Allegheny Ballet and was a finalist of the Dance Teacher Magazine’s Choreography Award while attending the North East Regional Dance Festival. In the community, Ms. Shaw has been the choreographer for the Miss Cumberland County Pageant for 11 years. Recently, she became a Miss Cumberland County Pageant Board Member. Ms. Shaw believes in keeping current in the dance world. Yearly, she attends professional development workshops and classes at dance teacher conferences and conventions to learn innovative strategies for teaching dance; develop healthy dance practices; network with others in the field of dance; and to learn about new technologies and resources. Her repertory is known for her human interaction and relationships as well as using visual art, history, and language arts as inspiration and collaboration. Ms. Shaw continues adjudicating pageants, teaching master dance classes, and setting her choreography in public and private dance schools, pageants, and musicals throughout the Tri-State area. JJ Hester started dancing for the Peter Smith School of Irish Dance in 2001 at age 16. During his competitive career he earned numerous solo and team awards throughout local, regional, national, and world competitions. He is a three-time First Place Mid-Atlantic Regional Oireachtas champion. He placed in the top five at the North American Championships on three occasions, with 2nd place being his highest placement in 2006. In 2005, he became a world medalist, placing 6th at the World Championships of Irish Dance. In addition to his competitive career, he had the opportunity to perform in concert with the Chieftains and Eileen Ivers. In 2005 he was accepted into Riverdance. in 2011, he passed the rigorous T.C.R.G. 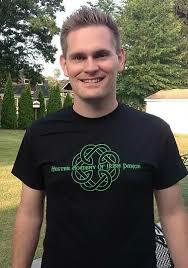 exam to become a fully certified Irish Dance teacher, registered with An Coimisiun Le Rinci Gaelacha, the Irish Dance Commission in Dublin, Ireland. In 2017, J.J. passed the extensive A.D.C.R.G. exam to become a fully certified Irish Dance adjudicator. Since becoming certified, he has taught students who have won numerous regional, national, and international competitions. JJ attributes a great deal of his success in Irish Dance to the support he has received from his family and all of his dancing instructors. Aside from dance, he pursued and completed his Bachelor of Science degree with teacher certification at Montclair State University in 2009 and is an elementary Physical Education and Health teacher. Erin Owens has been a dance teacher at All That Dance Studio since 2014. She studied dance at All That Dance Studio for 8 years. Erin graduated from Arcadia University with a Bachelor’s degree in Biology. While at Arcadia University, she studied choreography, ballet, and ballroom dance, and was the President of the University’s student dance association. Professional experience includes Forever Tina! and the Omni Contemporary Dance Company. Erin has also studied under and worked with professionals from Dance Theater of Harlem, Danse4Nia Repertory Ensemble, Kariamu & Company, Dancefusion, and Koresh Dance Company. Erin recently joined the United States Navy to advance her career. We will miss her and we wish her well in her future endeavors. Kimberly Fiordimondo ​ received her ballet training in Vaganova & Cecchetti technique under such illustrious teachers as; Irina & Alexander Boitsov, Irina Kolpokova, Raymond Lukens, and Michael Vernon. Dancing with the International Ballet Theatre, Russian Ballet Theatre of Delaware, and as a freelance artist in New York City, Kimberly performed in various ballets including Sleeping Beauty, Giselle, Paquita, the Nutcracker, Swan Lake, and La Bayadere. In addition to her professional dance experience, Ms. Fiordimondo has taught dance for over fourteen years throughout the New York, New Jersey, and Pennsylvania area. Ms. Fiordimondo holds a Masters of Arts degree in Dance Education with a concentration in American Ballet Theatre (R) Ballet Pedagogy from New York University. Most recently, Ms. Fiordimondo served as Dance Teacher and Magnet Department head at John Hopkins Middle School, Center for the Arts & Journalism, in Saint Petersburg, Florida. Katie Watkins has studied dance since she was nine years old. She graduated from Rowan University with a degree in theatre and minor in dance. In addition, she has a degree in mathematics and is employed as a high school math teacher. Ms. Watkins has a passion for dance and enjoys sharing her love of theatre and contemporary dance with her students. Deserea Byrd graduated from Stockton University and earned a degree in dance management. She enjoys teaching lyrical, praise dance, and African dance to our students. Presemtly Ms. Byrd is studying missionary work at YWAM in Tyler, Texas.